I’m on a flight on my way home from my Wine & Dine Weekend and I can’t wait to tell you all about it! 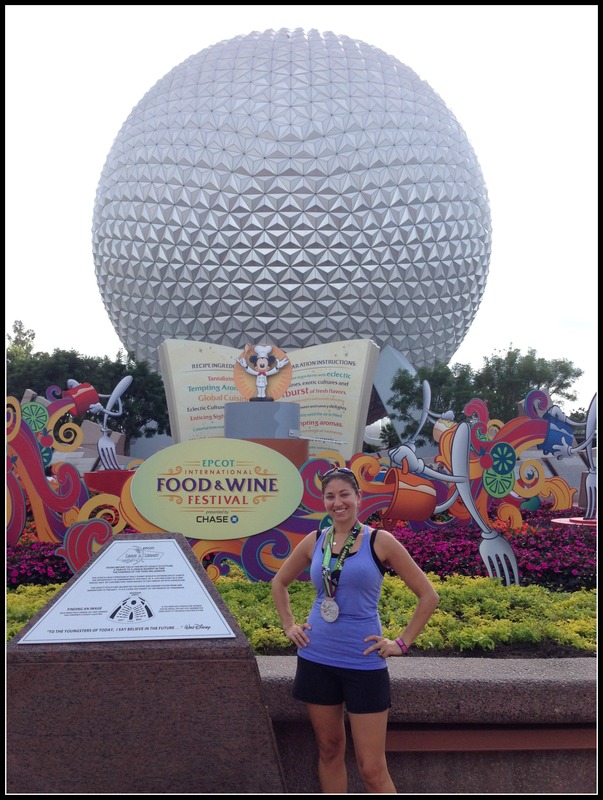 I had such a great time seeing friends, meeting new friends, eating my way around the Epcot Food & Wine Festival and of course running the Wine & Dine Half Marathon! Full recap coming soon, but in the meantime here’s my training recap for the week! Thursday – flight to Orlando for Wine & Dine Weekend! 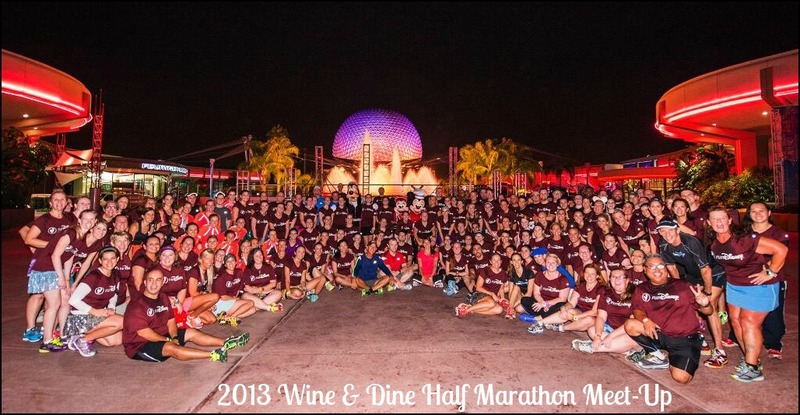 Saturday – Wine & Dine Half Marathon! during the Wine & Dine Half Marathon! Sunday – lots of walking around Disney! I actually had a GREAT race Saturday night during Wine & Dine! 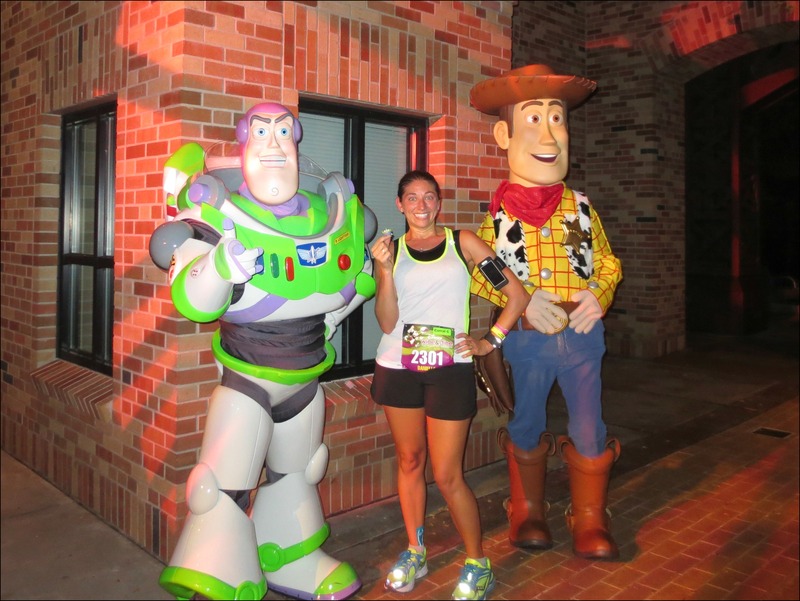 Full recap coming in a day or two, but I was happy with my time/ pace AND stopped for pictures with almost all of the characters on the course! Picking up with Dopey training and hoping to get some yoga in! Love your photo with Buzz and Woody. You clearly loved the race Saturday night! Now it is time to buckle down and train for Dopey….not looking forward to those super long back to back runs! I actually surprised myself with how much I enjoyed the race, I usually don’t love the night races! Dopey training’s definitely going to be rough, especially with the temperature dropping so quickly!